This just proves what contrary individuals we really are. After weeks, (and I do, literally mean weeks!) 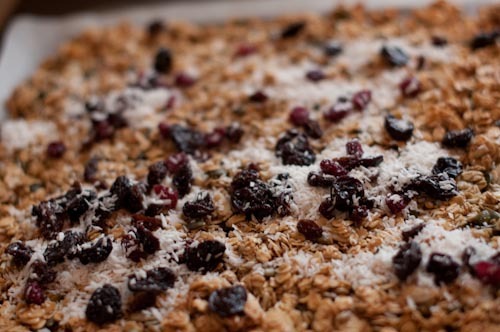 of eating the healthiest of healthy, homemade granola, religiously, every morning, with a cup of Detox tea to boot. I awoke on Thursday morning to a radio report that said ‘Eat like the English and we could save 4,000 lives in Scotland, Wales and Ireland’. I heard it. I sat up in bed. I thought about granola and rice milk and then I had what I can only describe as an epiphanic moment. ‘Jesus, I need a bacon roll’. Yes, with butter. Yes, with ketchup. Maximum lard. Maximum satisfaction.